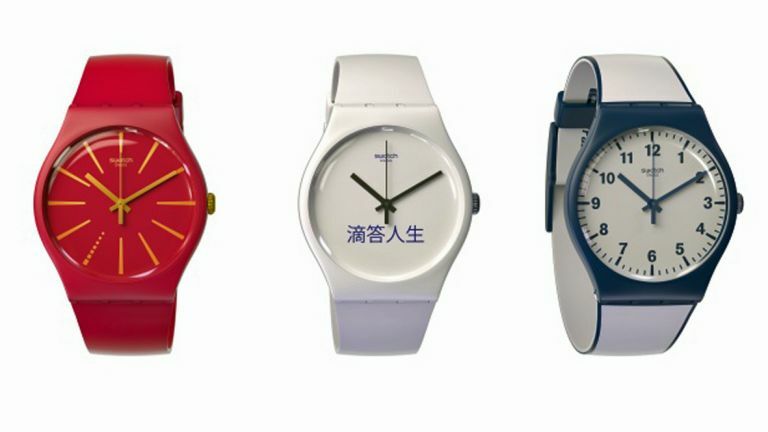 Already this year, Swatch has given us the oddest fitness wearable ever, with thebeach-volleyball-themed Touch Zero One. Now it gives us the oddly-named but actually quite sensible Swatch Bellamy, a standard Swatch with an NFC chip for payments. But only in China. The NFC (near field communication) tech in the Bellamy range allows you to pay on Union Pay contactless payment terminals in China. The watches are on sale solely from the nation's fun-sounding Bank of Communications. Rather than taking money from your bank account or acting as a credit card, the Bellamy will need to be prepaid, like Barclays' bPay systemover here. According to Swatch, Bellamy will later roll out in its home nation of Switzerland and then America, where contactless payment is still viewed as witchcraft in at least 20 states. Seriously, how is it that the world's most technologically advanced economy doesn't evn have chip and PIN in most shops yet? As with Apple Pay, there are few technical impediments to the NFC chip working with any contactless payment terminal, anywhere in the world, subject to the right agreements being inked. The Bellamy is actually named after American Writer Edward Bellamy, who was a bit of an HG Wells figure. In 1888 he wrote, Looking Backward 2000-1887, a book that, like Wells' more famous The Shape of Things to Come and The Time Machine, looked forward to the future. One of Bellamy's predictions was that by 2000, cash would be replaced by credit/debit cards (spot on) leading to a utopian society (maybe not so much). The Bellamy is also the first fruits, presumably, of what Swatch CEO Nick Hayek was talking about here.